Please note that photos may slightly different from actual items in terms of color, due to the different monitor's display. 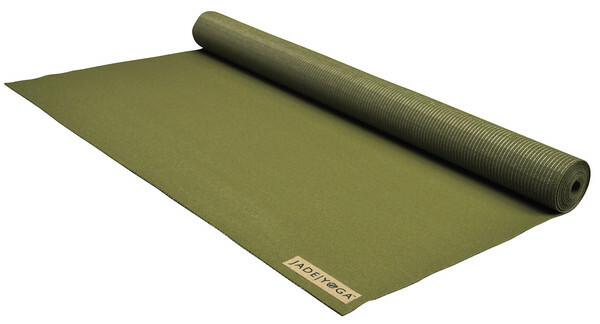 The Jade Voyager mat is great for yogis on the go and for those who like closer contact with the ground. Incredible grip, great comfort and eco-friendly. Jade mats are made sustainably with natural rubber tapped from rubber trees, a renewable resource and no synthetic rubber. 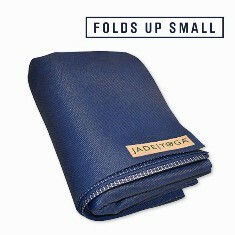 Can be used alone or be using it over another mat. Size : 24" x 68" x 1/16"